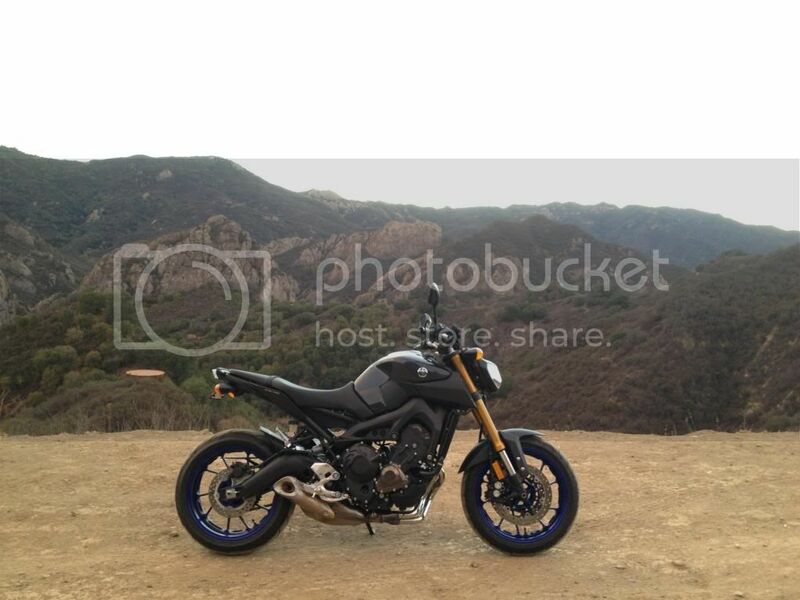 Yamaha FZ09 Photo of the Day! 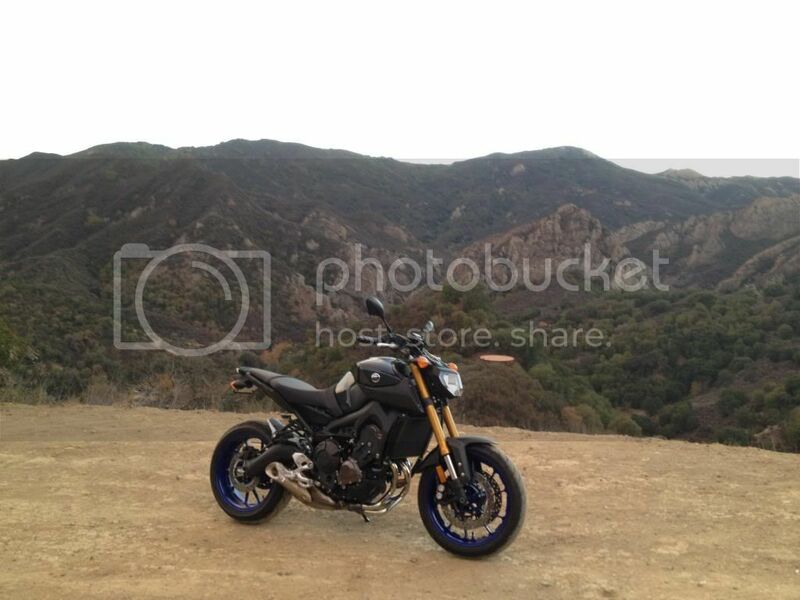 Thread: Yamaha FZ09 Photo of the Day! triplethreat, DNFDOUG, Willowbilly and 4 others like this. From about an hour ago. triplethreat, eolith, GrynosaurusWrex and 1 others like this. triplethreat, v2Bob, FazerRider and 2 others like this. In no particular order - a bunch of stuff like two Transalp XL600Vs, a Pacific Coast PC800, two GL1800s, two EN450s, two SV650s (see a pattern here? ) 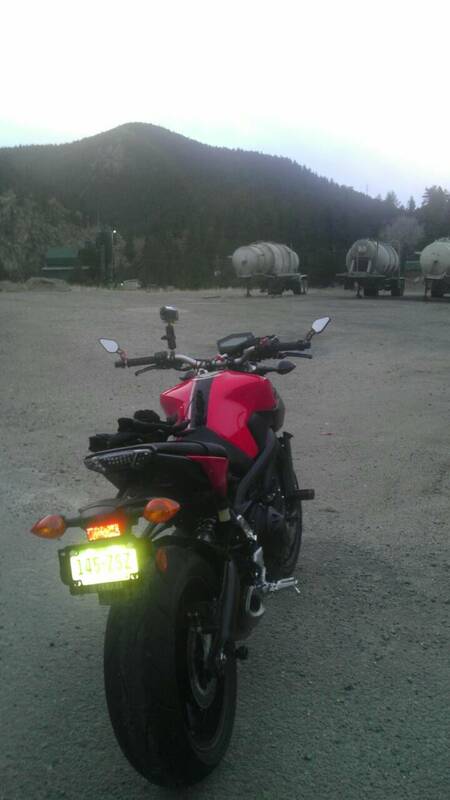 two CB750 Nighthawks, a CL350, 2004 XL1200R, DL1000, DL650, KLR650, CBR250R, FZ-8, Honda 919 and a VT700C Shadow. "Did you know you can ride a Transalp through a wall and not die?" fz0976, DNFDOUG, Ronnie Ronsta and 1 others like this. 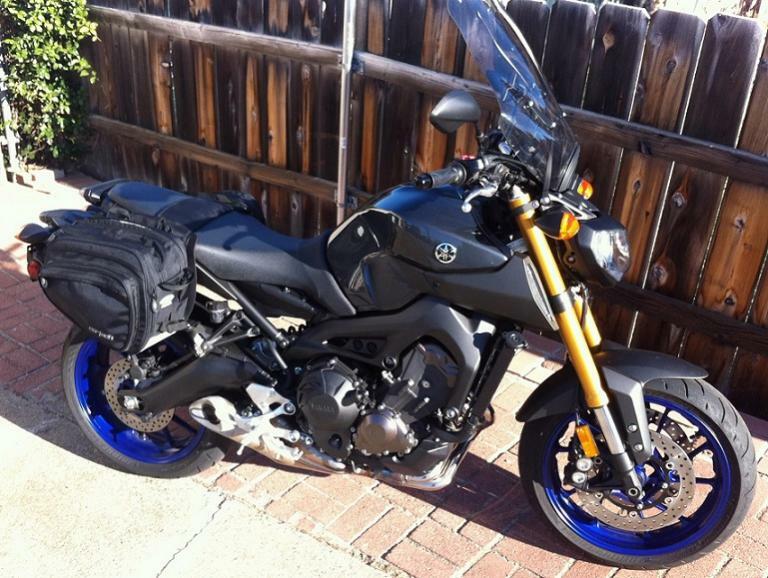 just got her home and got the damn safety sticker off the tank looks much better get some better pics when the sun returns..
fz0976, DNFDOUG, eolith and 2 others like this. Dalt Meyer, I'm next door in Indiana, I thought I heard someone saying "varoom varoom!" Last edited by triplethreat; 04-16-2019 at 07:18 AM. Lets get this going y'all! Cold with snowflakes on todays ride, had To turn around. DNFDOUG and Tigershark like this. 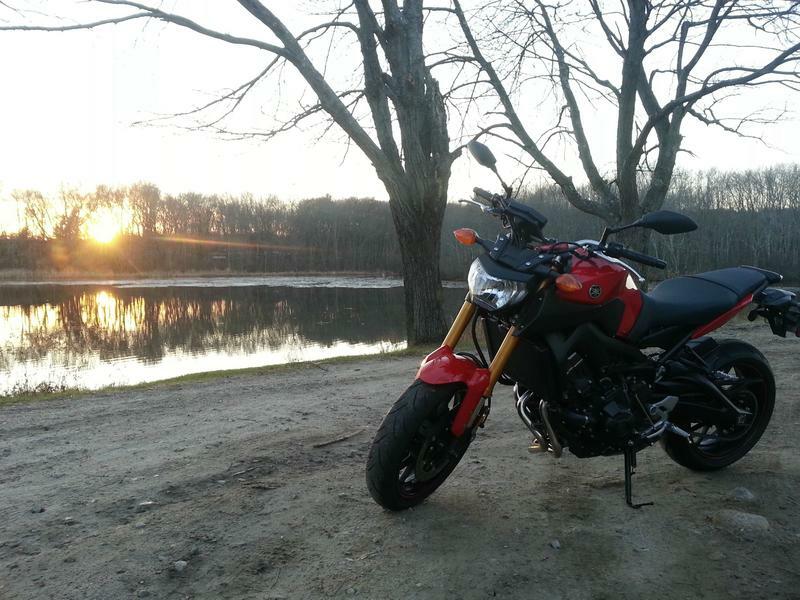 picture just before my 10am, 50 degree and sunny, 135 mile ride. Such a nice day. DNFDOUG, Cafox, Tigershark and 1 others like this. 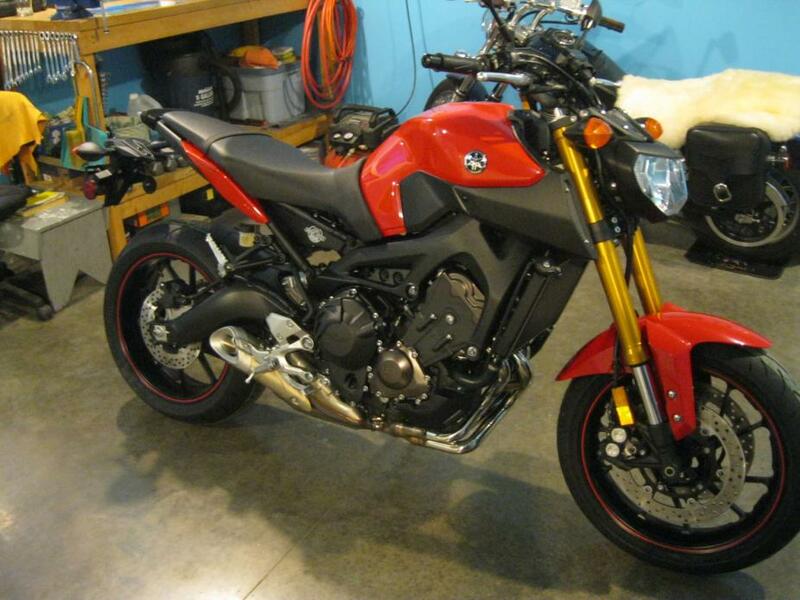 Current Bikes: 1989 Honda Hawk GT, 2014 FZ-09. 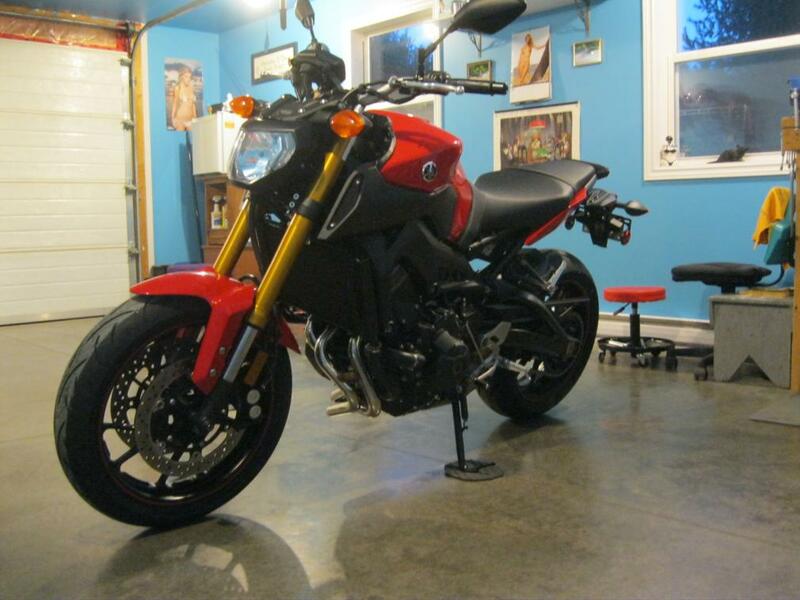 Prior Rides:1997 VFR750, Rare 1987 Honda VFR400R (Grey Import), 86 SRX600#2, 77 RD400#2, CTX700N, 88 Super Magna, 79 CB650, 04 VFR800, 88 Hawk GT#1, 89 Hawk GT#1, RD400#1, 1979 750sx triple, SRX600#1, HD1200C, HD883R, Savage 650, VLX600, Nighthawk 450, cb400, CB550F, H1 500 triple, R69US, R5C, Cb160, HD 250 Sprint, 1950 HD PanHead/sidecar, 1941 HD Knucklehead 74 was my first bike 1963. Bob, I am 6 ft tall. That's my 132 mph posture. 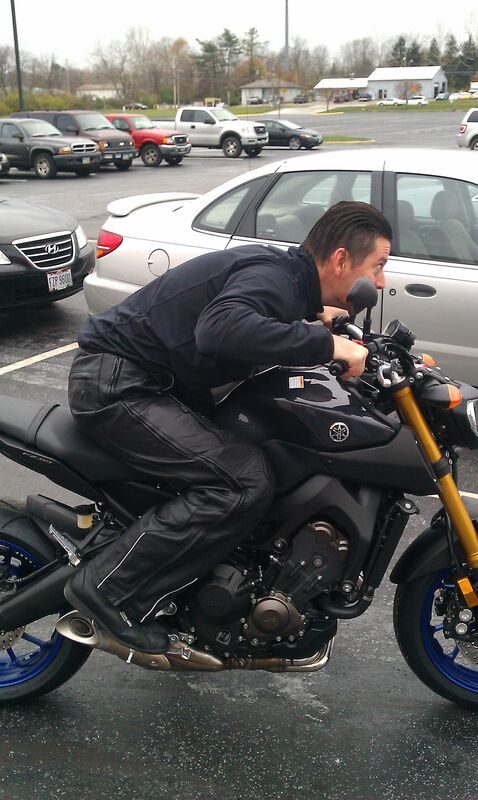 I shouldnt be going that fast in the parking lot. Last edited by daltmeyer; 11-17-2013 at 02:46 AM. v2Bob, triplethreat and Willowbilly like this. Pigeon Forge, Tn. 50 miles from the Dragon. 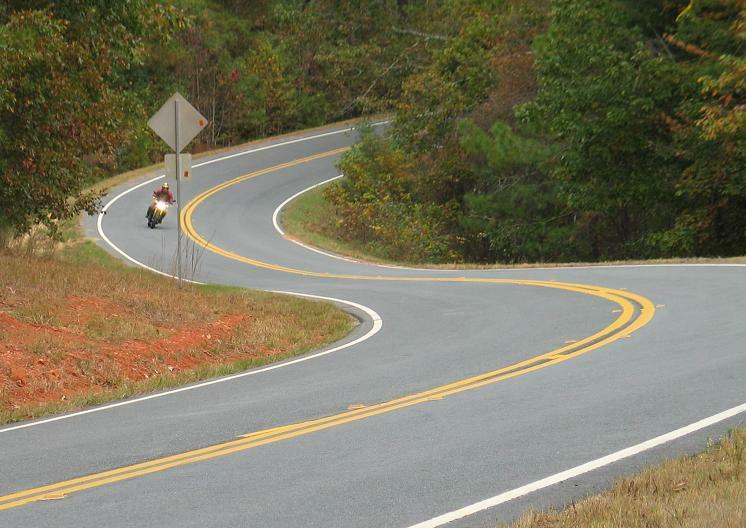 Didn't anybody tell you that you go faster with a skid lld? ----especially in a parking lot...LOL.